Gemini exchange has emerged as one of the preeminent cryptocurrency exchanges in the entire market. For years, Coinbase was the only big name that allowed investors to buy Bitcoin and Ethereum with fiat currencies like USD. No longer. With Gemini exchange, we have a remarkably intuitive and secure alternative to Coinbase, and another place for new crpyto investors to go when overwhelming demand makes other exchanges inaccessible. Gemini exchange is owned by the Winklevoss Twins. Remember those guys? The Winklevoss twins have always argued that one Mark Zuckerberg stole ideas from them when he created his social media platform so well known there’s no point in naming it. The Twins won their lawsuit and were awarded $65 million in 2008. $11 million of this sum they later invested in a nascent digital currency called Bitcoin. In 2015 the twins started Gemini Exchange (Gemini…twins…get it?). By then their Bitcoin had grown substantially in value. By 2017, their combined net worth in Bitcoin alone topped out at $1.3 Billion. Gemini exchange was already growing rapidly at this point, and the Twin’s new role as publicly known cryptocurrency champions led them to invest even more in their cryptocurrency exchange. Gemini exchange has a simple business model. They accept Fiat currency (government-issued money like the US Dollar) in exchange for Bitcoin and Ethereum. While this might sound like much, it’s important to point out that there are very few cryptocurrency exchanges which accept fiat. With its ease of use and elegant no-frills design, Gemini exchange has been expanding rapidly in recent months. Gemini exchange displays a high level of quality in almost every respect. Here are the things that stand out after using it to buy Bitcoin for a few months. International Reach: One of the best aspects of Gemini Exchange is the extent of its global reach. It’s incredibly frustrating for a new cryptocurrency investor to hear about a great exchange, only to learn it’s not available in their country. Gemini isn’t truly universally available, but it is more widely available than most of its competition.Gemini is currently available in all US states except Nevada and Hawaii, Great Britain, Puerto Rico, Singapore, Hong Kong, and South Korea. Gemini exchange Canada is another option. Gemini exchange is always expanding its global reach, so if it’s not currently available in your country, stay tuned and this might change. Ease of Use: Gemini exchange couldn’t be any easier to use. We’ll cover Gemini Exchange login information a little later, and you’ll quickly see that this is a very intuitive cryptocurrency service indeed. 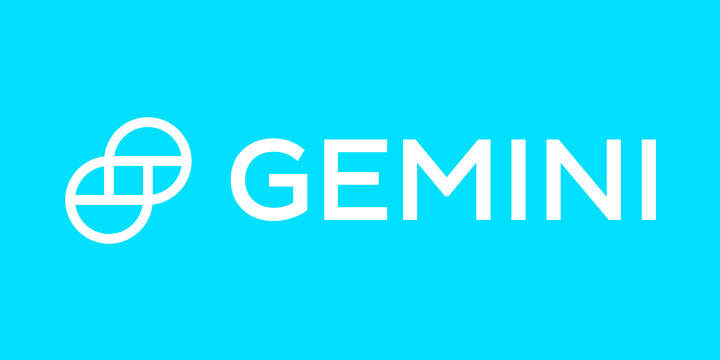 Customer Service: Gemini exchange documents a great deal of helpful information in an ever-updated FAQ and ongoing Gemini Exchange blog. For questions not resolved via these channels, Gemini handles person-to-person customer service needs via email, with answers received within a few hours. This process can be delayed in times of high network strain, but in most cases people seem happy. Multi-layer Security: Let’s face it…most cryptocurrency exchanges are not that secure. Within the past 6 months alone there have been multiple breaches, data leaks, and fraud scandals. Gemini Exchange is a major exception to this norm. US wallets are FDIC insured. 2 Factor Authentication renders each account all but unbreachable. Digital currencies are held on storage or within Amazon Web Services – itself boasting high levels of multi-tiered security measures. The signup process with Gemini exchange will be familiar to anyone who has used cryptocurrencies before, or any online payment solution for that matter. We’ll walk you through the basics here so that you can start using Gemini Exchange as soon as possible. Register: Start by going to Gemini.com and creating an account, using the prompts on the homepage. This will take you to the screen pictured above. Simply input your name, email address, and a strong password. Make sure you use your real name and working email, because you won’t be able to complete your account without them. You will be sent a registration email immediately, within which is a code you can use to get past the next screen. Copy it, paste it, and move to the next screen. Now come several pages requiring you to input various personal information: government ID, bank information, etc. Most of this is necessary to meet Gemini’s government regulation requirements. Remember, all of this means that your funds will be very secure on Gemini Exchange. While it might be a pain to do this now, it won’t actually take very long, and your money will be much safer than it would be on an exchange that did not have you perform these actions. Deposit: OK, you’ve finally input all of your personal information and connected your bank account (Gemini exchange credit card deposits are also an option). Now you’ll be able to fund your account via bank wire transfer. The cool thing is that as soon as you set the transfer in motion, you can use that money to lock in trades at the current Bitcoin/Ethereum price. This is a good thing because Gemini could have required you to wait for the funds to arrive in a few business days before allowing you to trade. This might mean that you would miss out on a buying opportunity, so we think it’s cool that Gemini gives this immediate spend option. Buy: Now all you have to do is buy! The easiest way to do it is use the market price already listed in the buy menu. Choose how much of your money you wish to spend (likely 100%). Then confirm the trade. It’s really that easy. There are some more complex trading options which advanced investors will appreciate. We’ll cover those in an upcoming section. Gemini exchange fees can seem pretty complex if you look at charts like these, and the even more complicated ones on their website. However, all of this math belies a simple reality: almost every user will pay 1% for every transaction they make, buy or sell. This is well higher than the 0.25% Gemini exchange fees we enjoyed until recently, but it’s still well less than what Coinbase charges. Fiat>Crypto exchanges have to charge more than crypto>crypto exchanges for many reasons, but mostly because they have to jump through many more hoops legally and security-wise. As you can see in the chart above, fees go down the more you trade in any given 30 day period. For the most part, this will only apply to very high-volume traders, as most crypto investors don’t move more than 5 Bitcoin or 50 Ethereum in a single month. If you manage to get up to 2,000 Bitcoin or 20,000 Ethereum traded in a month, your fees go down to 0.10% and 0.0% for buyer and sellers. Of course, you’ll have to be at a Winklevoss level of cryptocurrency investing, probably, to hit these sky-high marks. Gemini exchange offers more order types than Coinbase, making it a great option for experienced investors and day traders. We’ll give you a sort rundown of how these orders work now. Market Order: Market orders are super simple. They let you buy Bitcoin or Ethereum at the best price currently available on Gemini exchange. Limit Order: Limit orders only go into action when the price of Bitcoin or Ethereum hits a price you specify when making your order. Limit orders are most often used to make orders at a lower price than what is currently available through market orders. Immediate or Cancel (IOC) Limit Orders: With IOC limit orders, you’ll specify a price at which you’d like to buy Bitcoin or Ethereum. Unlike a simple limit order, however, the order will only be filled if the price is hit, and the order will be cancelled thereafter, even if it’s not completely filled. Maker or Cancel (MOC) Limit Orders: You specify a price. If that price is currently available on the market in any quantity, your order gets cancelled. Auction-Only Limit Orders: Your orders sits on the auction order book and is filled at or better than your specified price when the auction is complete. Any leftover quantity not filled is canceled. Indication of Interest Orders: Uses Gemini’s block order technology to search for volume for large orders of Bitcoin or Ethereum. This way, you won’t buy everything available and sink the price. It’s basically a way to send up a signal flare saying “hey, I need a bunch of crypto”. When liquidity is achieved, your order can be filled. Gemini exchange has a number of alternatives. We’re not just talking about Coinbase, though this is the most prominent example. There are also options like Coinmama, CEX.io, and Changelly. We don’t have time to review all of these options thoroughly. Changelly is similarly organized. In most cases, Gemini Exchange fees still make it the cheapest option. The only trading and deposit limits go to people who use Automatic Clearing House deposits. Everyone else can trade and deposit/withdraw as much as they like, providing they’ve completed their account. Gemini Exchange is a remarkably solid option for buying Bitcoin and Ethereum with Fiat currency. Gemini Exchange Bitcoin is an increasingly popular search term, and you’ll quickly find out why once you try the service for yourself. For brand new users, there is no Gemini exchange app, but the service is fully dynamic, compatible with all mobile devices. Gemini exchange fees are low when compared to its immediate competition. The service itself is a true rival to Coinbase in terms of aesthetics and usability, but its cost advantages are obviously much better for traders than Coinbase. All this being true, the question is: will Gemini Exchange start to steal significant portions of Coinbase’s market share? We’re not here to suggest that Gemini exchange will take over for Coinbase. In fact, the cryptocurrency market really needs multiple high quality fiat onramps, serving different customers, preferences, and parts of the world. There are simply too many people trying to buy crypto for a single exchange to handle them all. We expect Gemini exchange to stick around for the long haul. If you are looking for a good place to buy Bitcoin or Ethereum for the first time, or if you simply want to save a little money compared to what you’d spend using Coinbase, set up your Gemini Exchange login today.